In the context of after school mathematics clubs in South Africa, in this chapter I seek to gain a firmer and deeper understanding of the theoretical concepts of ‘space of joint action’ and ‘togethering’. I do this by connecting the notions of Meira and Lerman’s attention catching and Radford’s moments of poēsis, which are used as a combined lens to analyse data from two task-based interviews with 9 to 10-year old club learners. Using examples and non-examples, I analysed sustained sequences of attention catching as observed when participants paid attention to each other in a mathematical manner to enhance their understanding or sense making. I argue that the way in which participants take advantage of these sequences has a bearing on the way in which the space of joint action evolves and how togethering unfolds. 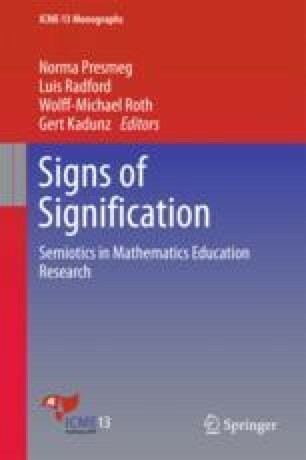 The findings from this chapter contribute to calls for understanding the special work of mathematics teaching and may be pertinent in both classroom and out-of-school time contexts in South Africa and beyond. The work of the SANC project is supported by the FirstRand Foundation (with the RMB), Anglo American Chairman’s fund, the DST and the NRF. I wish to thank Stephen Lerman for his insights regarding my work on attention catching, Luis Radford for encouraging me to think about the “symphony” and Mellony Graven for her insights in the writing of this chapter. Additionally, I would like to thank the reviewers for their perceptive comments for developing this chapter. Ball, D. L. (2016). Uncovering the special mathematical work of teaching. In 13th International Congress on Mathematical Education (ICME). Hamburg, Germany: Plenary presentation. Retrieved from https://deborahloewenbergball.com/presentations-intro/.